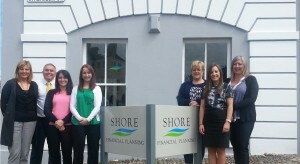 Shore Financial Planning (Plymouth) Ltd was established by Alison Treharne in 2009, after a 10 year career in London, culminating with Jupiter Fund Management one of the most well respected firms in the city. SFP now has financial planners based in the south of the UK and continues to grow as an organisation. Our clients feel comfortable with us, we work hard to secure their financial future. Financial matters can be complicated and we have the knowledge and experience to help them achieve their financial objectives. Working closely with clients is important to us, when their circumstances change we change their financial plans accordingly. Alison continues to advise and is also Chief Executive Officer. Jon Treharne (Alison’s husband) oversees the running of the business in his capacity as MD. Ben Yearsley chairs the Investment Committee on a quarterly basis. We are based between Plymouth’s Theatre Royal and the historic Plymouth Hoe, at 15 Atheneaum Street.